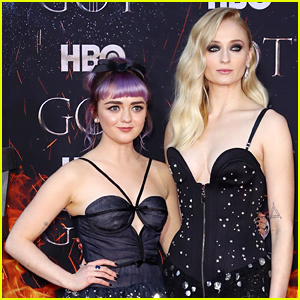 Game of Thrones Photos, News, and Videos | Just Jared Jr.
Maisie Williams is bidding farewell to Game of Thrones in a very GOT way. The actress took to Instagram on Saturday (July 7) to share her thoughts after wrapping up her last day of filming. The eighth and final season of Game of Thrones will premiere in 2019 on HBO. READ MORE: Game of Thrones’ Sophie Turner & Maisie Williams Reunite at Co-Stars’ Wedding! 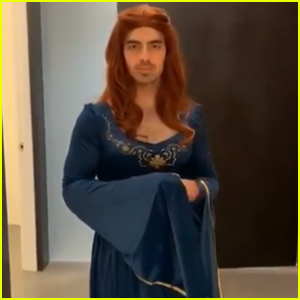 Is Sophie Turner's 'Game of Thrones' Tattoo a Spoiler for the Final Season? Sophie Turner is explaining the true meaning of her Game of Thrones ink! The X‑Men: Apocalypse star dished about the tattoo while visiting The Late Late Show with James Corden on Thursday (June 21). 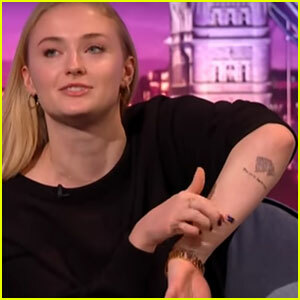 While many have believed that Sophie‘s new tattoo – a direwolf with the quote, “The pack survives” – is a spoiler for the last season of the HBO series, Sophie says it definitely is not. “It’s just a moral that I like to live by,” she explained. Watch the videos from her interview below!